Today I am going to discuss the extract-restore function on the mExtension toolbar. Located on the mExtension toolbar the function can be used in two ways. You can extract parts of the project to test different variations in a separate folder and restore it back to the project if needed, or you can use it to restructure the project by moving subassemblies to separate folders. I know that I can use pack and go to collect parts of the projects but it doesn’t allow me to restore it back once finished and this function, as you will see, it’s much easier to use. All you have to do is select the models in the browser or in the graphical window and click Extract. 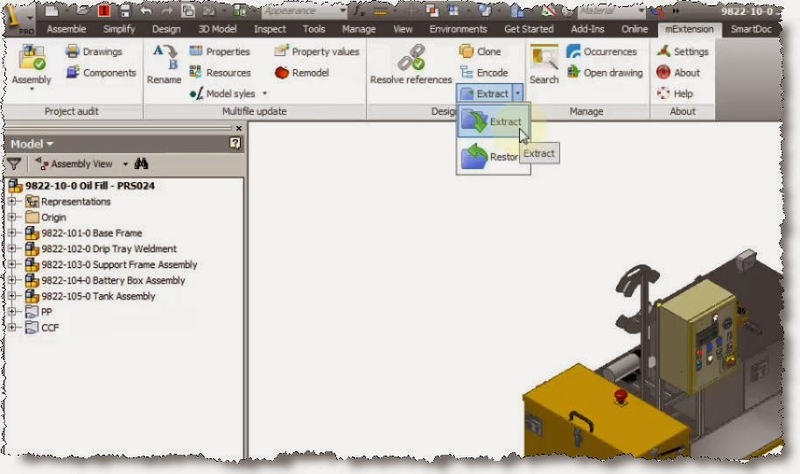 Once you select the destination folder it will create a copy of the project file (I recommend rename it so we don’t mess up Inventor) and the folder structure of the selected components. It brings parts, drawings, and all referenced data with the extract. If you decide that the changes you have made are better and you need to insert back to the original project, just open the original project main assembly and after selecting the same components use restore to insert them back. A lot of the times in the prototyping phase I found myself running separate trails and thinking of different ways to solve a problem so I use the extract-restore to work on variations without changing the original model. The second way of using the function is to select a folder inside your project for the extract location. When pointing to a location inside your project is moves the selected components with all the references rather than copying so you can use it to put subassemblies on separate folders. This is a quick way of cleaning up the project folder. 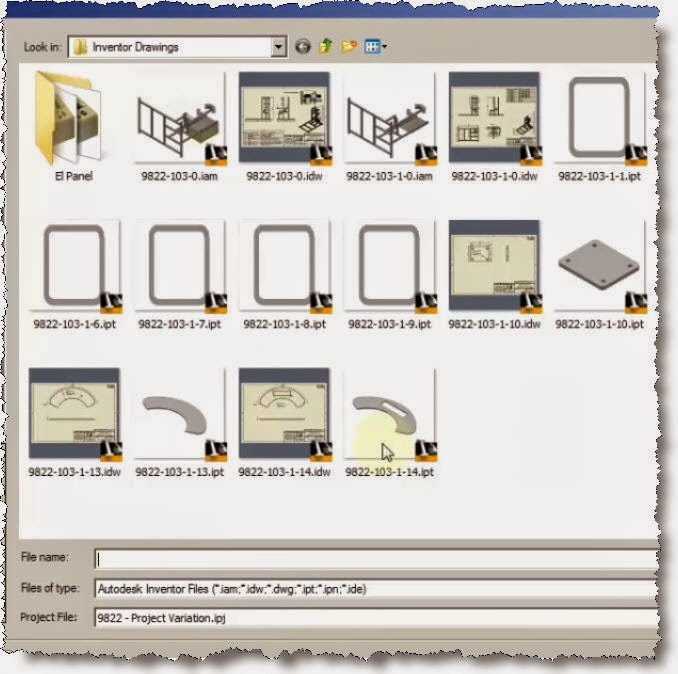 Today I will show you how to use the rename tool on the mExtension toolbar in Inventor. I will describe the function at large in a later post but for now I will show you how to use it to help release part of a project for manufacture early in the design state. - Renames models, assemblies and drawings without losing the links. 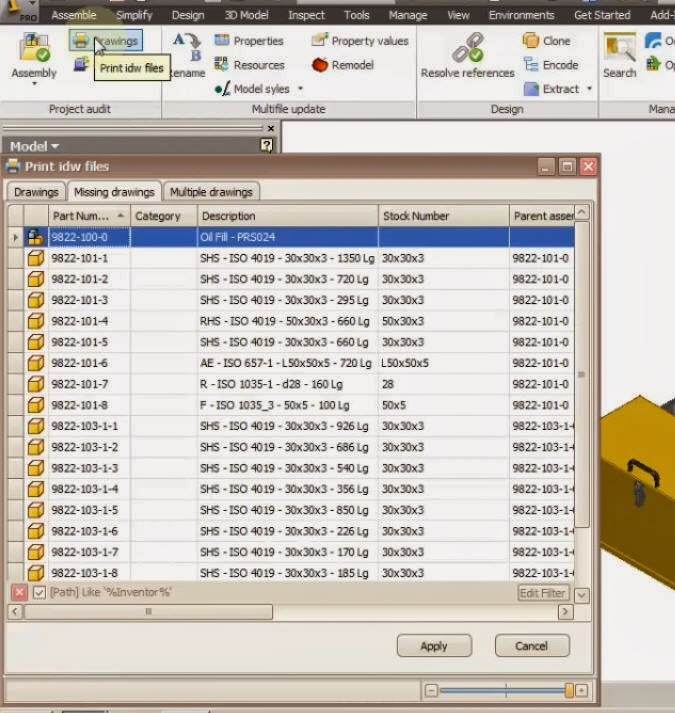 - Modify any of the iProperties of the models individually or by multiple selection at once. - Generate reports with advanced filter and sort with multiple criteria conditions. - Transpose data and reports via clipboard to excel and any other destination. So as I mentioned I will release part of the project, the tank cover more precisely, but not before assigning part numbers and renaming the models and drawings. We will keep the main assembly open during our rename operation in order to propagate the link to the newly renamed model. Click on the “Rename” button on the mExtension toolbar to bring the rename window. I have used a filter on the file path and kept just the files containing “Inventor” in the file path. I could have used a filter on the “BOM structure” to keep just the “normal” parts and to exclude the rest (purchased, phantom, etc.). I will mention that library files can not be modified from inside the project so they can't be modified with this function as well. If you do want to modify referenced files (library files); you need to open the assembly in a different project (use the default one that comes with Inventor, that doesn't have your references as library). 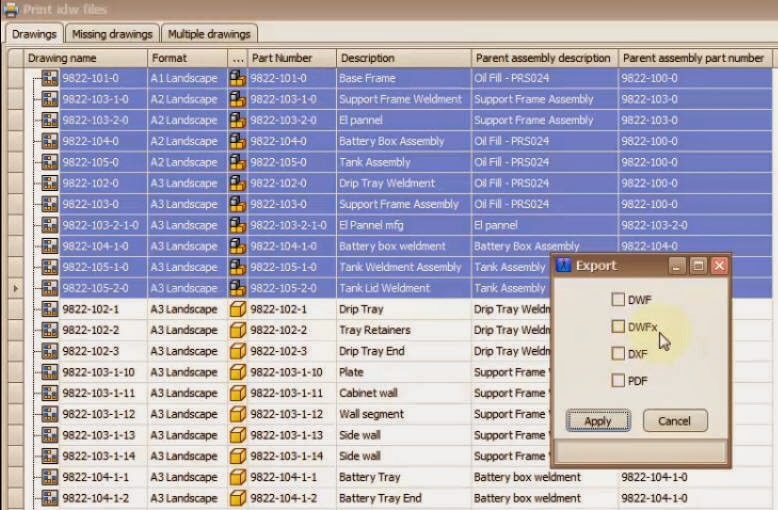 Copy the description into excel and quickly assign a part number to all the components. 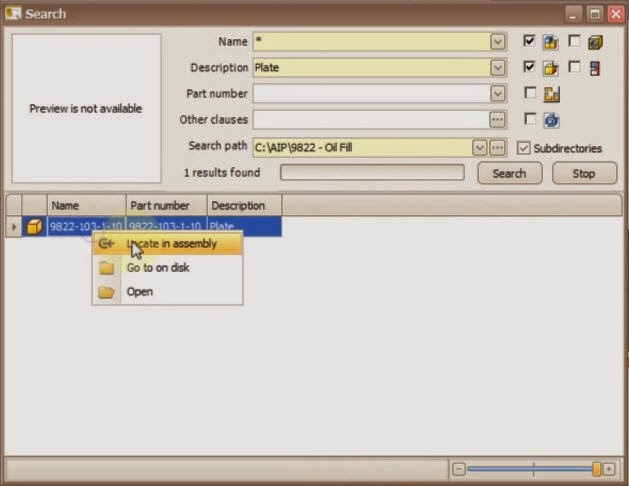 Copy back the new part number into the rename window and use it over the existing part number and over the new name filed. At this point you might be wondering why I haven’t used the “Codify” function to get the same results but today I want to show you a different way of part numbering. 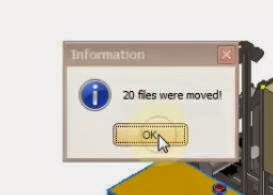 Once the operation finishes it will pop up a report window showing you the number of files it has modified. 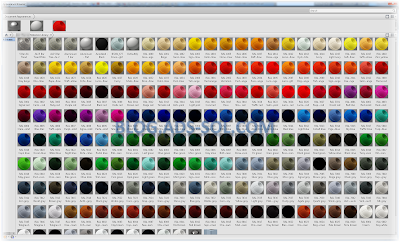 In my case it renamed 10 files (5 models and 5 drawings) and modified 5 properties (part number for the models). As you can see it renamed the browser nodes as well based on the new part number and description making it easier to identify. We go back to the main assembly we left open and click update. The model should contain the newly renamed tank cover instead of the old one. This tool has saved me thousands of hours of work, and a lot of money. I would have been an old man long ago if it wasn’t for this tool. I meet people that are trying to push part numbers yearly in the design stage and it didn’t work for me. I don’t like to be constrained on the design phase; I want to focus on the design, confident that I can deal with renaming the models later in the design stage. Most of the times I restructure the model and welded parts become bolted, cast or folded so assigning part number upfront is not easy. Try it out and post back your thought on it. Come back to see my post on Codify and Cloning, really powerful stuff. We have had this problem in the last company I was working, where we had student interns woking along. It's nice to be able to help them get some practice before going in full time jobs. One of them decided to work from home for a week and when he returned we realized that he didn't had a proper Inventor license but a student edition. We had full licensed computers in the office and he could have used remote desktop but it seemed easier to work locally. Now all the drawings would have the "Student Edition" stamp allover.
" 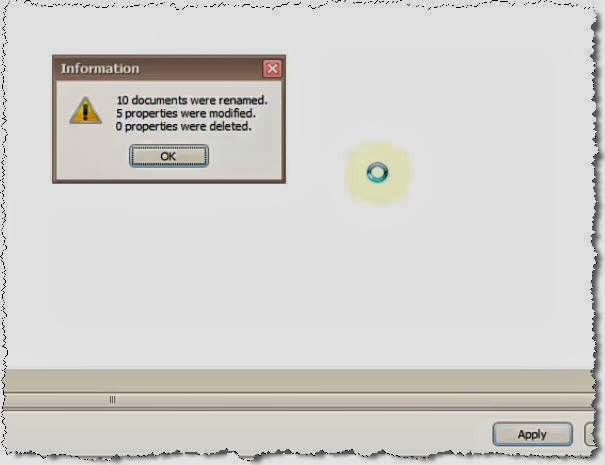 PRODUCED BY AN AUTODESK EDUCATIONAL PRODUCT "
The solution in this case was "Inventor Viewer". If you print the drawings from Iventor viewer they don't have the "Student Edition" stamp anymore. 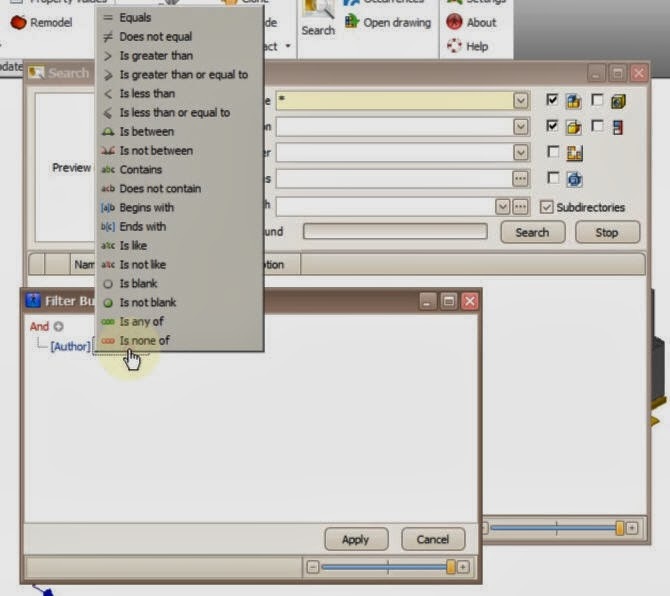 He saved a week's work in redmodeling the project by using Inventor Viewer. I need to mention that you are responsible on how you use the data provided here. Buy a license and use the full product. If you brake the End User Agreement you are on you own. Next on the mExtension add-on is the “Drawings” function. 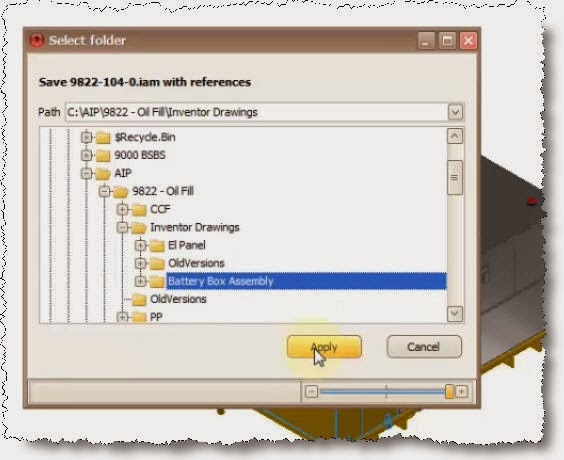 This function allows you to review drawing for current assembly and all its components. 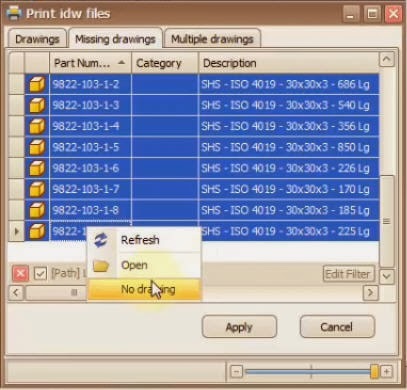 It provides you a list of existing drawing s as well as a list of models with missing drawings. 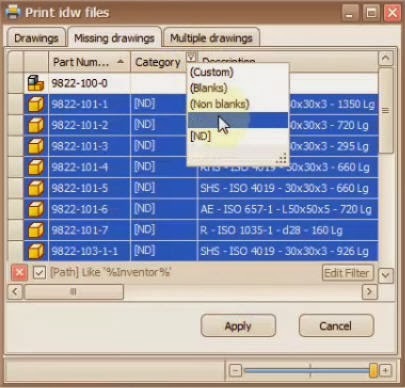 The most common use of the existing drawings window will probably be print and export. 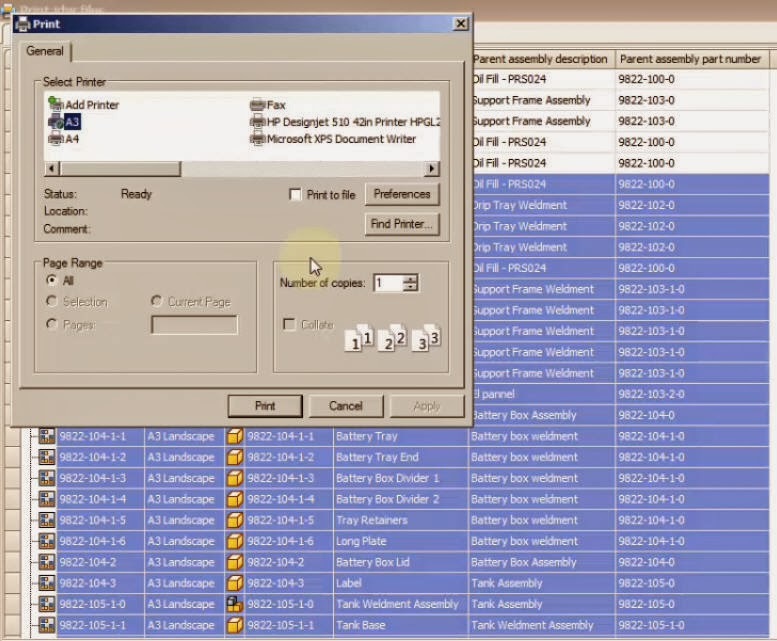 You can, for example, sort by drawing sheet size and print-export all A3 in one go or print-export all assembly drawings. Like with any window of the mExtension you can copy paste the results in Excel for advanced reports and data manipulation. In the missing drawings tab you can either mark components as “ND” (no drawing needed) or create a drawing on the go. Once you’ve used the “Create drawing” under the contextual menu the model is no longer on this list. 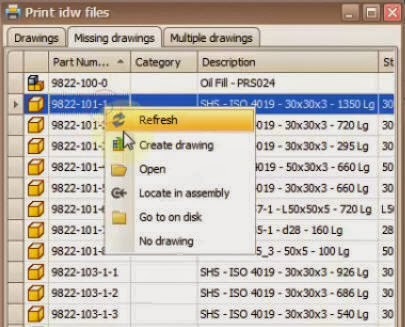 With all of the components you can, open, locate in the assembly, locate on disk, or label “no drawing”. The default name for save of a drawing made within the function is the name of the model in the main view. 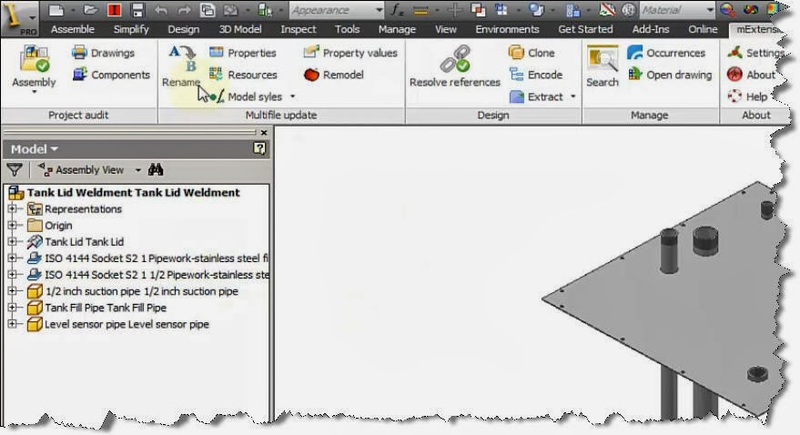 I have changed the description for all Content Center Steel Shapes (box section, channels, bars, etc.) so my description contains the standard, its size and length so I don’t need to make a drawing for each and every one. Therefore I will label them all “no drawing”, and filter my list to exclude them. It just makes it easier to work with long lists and large projects. Remember to refresh your list of existing drawings to include any new ones made within the missing drawings tab. 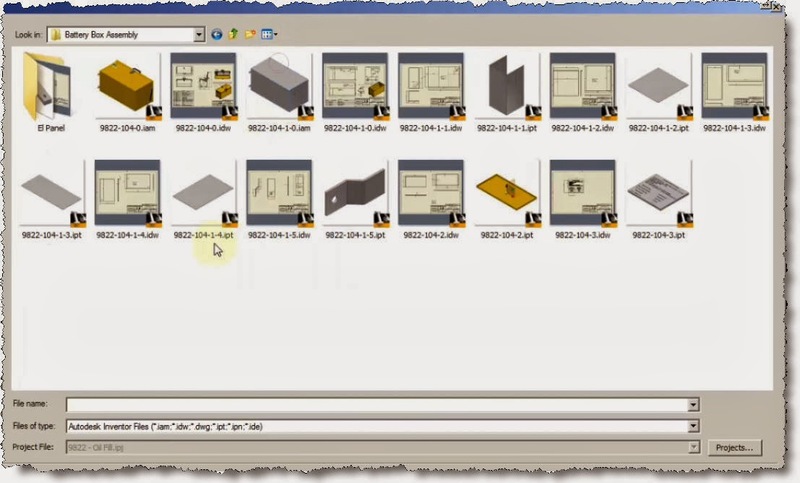 Continuing the videos on the mExtension add-on for Inventor I will show you how to use the Search function. 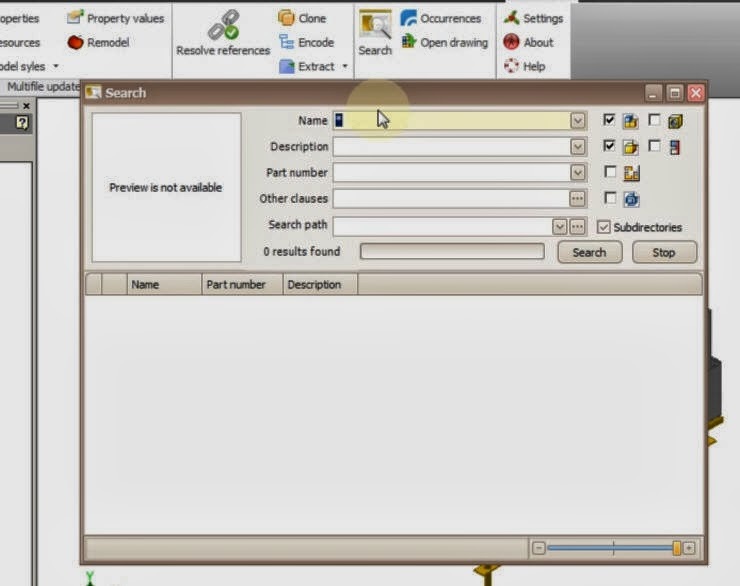 The function can be used to locate files based on their properties which the regular windows search command can’t find. So you can search for any iPropertie field as well as “feature name” and “constraint name”. If you don’t know the file name of a model you can use this function to search within the models in order to locate it. 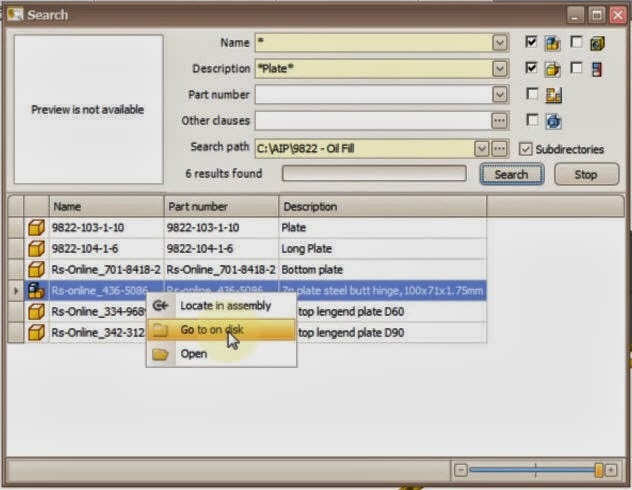 You can use, name, description, part number, or make your own custom search string. Let’s try a search for all parts having “plate” as an exact match for description. Will try a slightly different search for “plate” in any part of the description, so add * before an after plate. 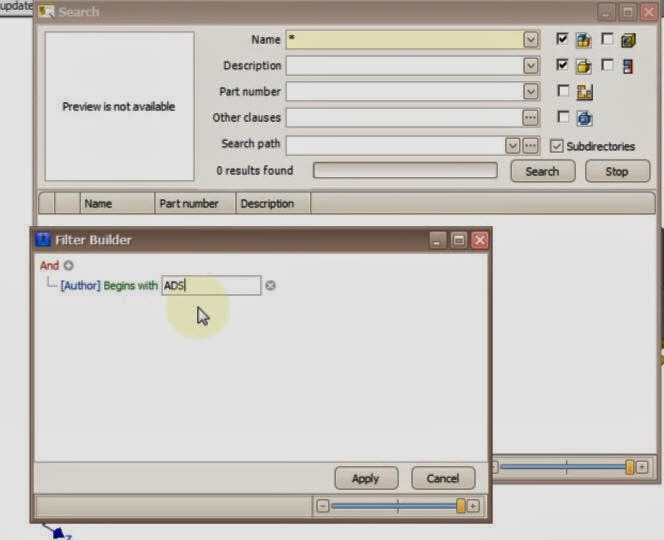 The advanced find allows you to build a custom search based or pretty much anything you can think off. I have added “ADS” as the author. But I could have used any logical condition as bellow and you can use the + sign to set more conditions at same time. Make sure you specify the search path and if to include sub-folders or not. 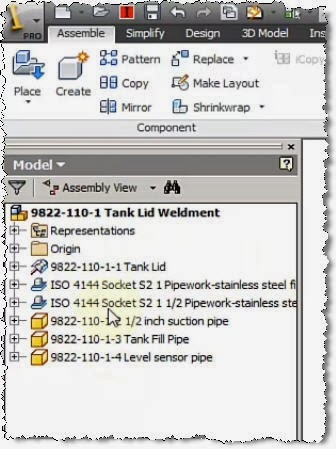 On the results window you have the option to open the file, locate it on disk or highlight it in the assembly if you have one open containing your model. You don’t need to have a model open to use the search function. Let me know what was the most interesting search you’ve done, or most common use of the function.